The project MACSS (Medical Allround-Care Service Solutions) proposes a new patient-centered smart electronic health care service platform with partners from research, industry, health insurance companies, patient organizations and health care service providers. The project focuses on improving patient safety after kidney transplants. Moreover, the project aims at improving the drug safety of patients as well as patient-physician and physician-physician communication. MACSS develops a mobile application that allows the bidirectional transfer of patient data onto smartphones within the patient's clinical routine treatment. To protect such highly sensitive data, a security and authorization concept had been created and was already approved. MACSS integrates patient data from other medical services and hospital systems by using advanced memory databases for different information services. Innovative technologies aggregate, analyze and recombine medical data in order to provide personalized real-time therapy. In addition, MACSS will help to reduce costs in the healthcare system in the long term. Within the MACSS project, DFKI researchers work on topics such as natural language processing, text analysis and information extraction from clinical reports. This involves processing textual data to detect medical concepts and relations, which are then connected to a large biomedical knowledge source (e.g. UMLS) for the purpose of improving the interaction between patients and healthcare providers. 7th of November 2018 - Talk at Future Medicine 2018 in Berlin: "Early detection of complications in patients after kidney transplant"
16th of October 2018 - Talk at Smart Data Forum in Berlin: "Medical Data Analytics for Chronic Kidney Disease"
8th of October 2018 - Talk at Berlin-Brandenburgische Akademie der Wissenschaften in context of Medizindiagnostik und KI: "Informationszugriff und Medizindiagnostik in der Nephrologie"
08th of May 2018 - Talk at MutlilingualBIO in Miyazaki: "Cross-lingual Candidate Search for Biomedical Concept Normalization"
14th of September 2017 - Talk at GSCL 2017 in Berlin: "Detecting Named Entities and Relations in German Clinical Reports"
06th of September 2017 - Talk at RANLP 2017 in Varna: "Annotation of Entities and Relations in Spanish Radiology Reports"
October 2016 - Accepted papers for COLING 2016 Workshops Clinical NLP and BioTxtM. 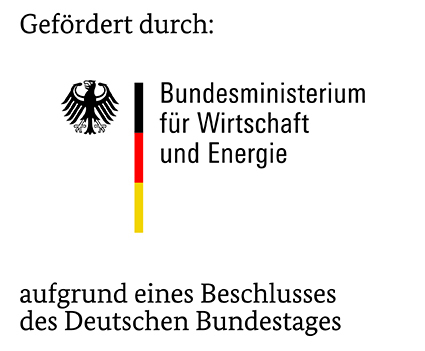 This research is supported by the German Federal Ministry of Economics and Energy (BMWi) through the project MACSS (01MD16011F).